Over the Fourth of July holiday, my entire family headed to Maine for a long weekend road trip! We started the road trip to Stonington, Maine which is roughly 5 hours from Boston. 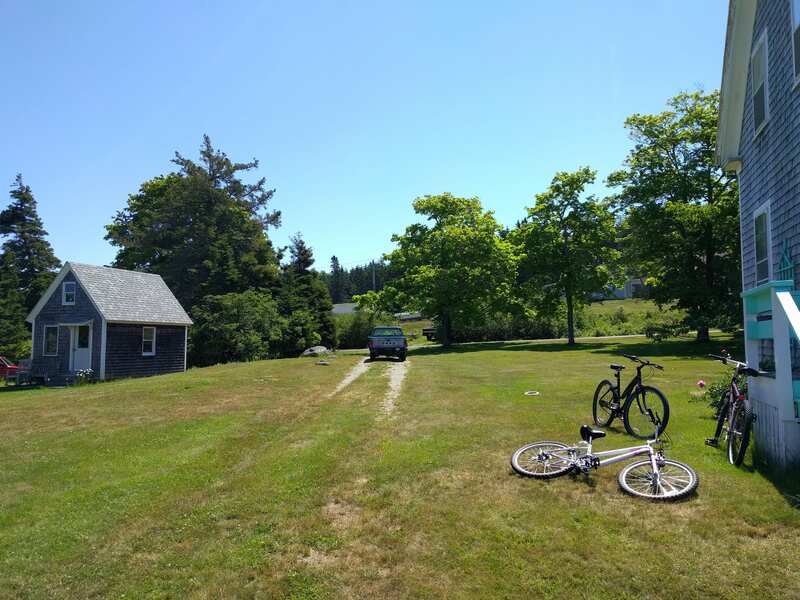 From there, we took a Mailboat to Isle Au Haut which is a small Island off the coast of Maine with 70 full-time residents but doubles in size in the summertime! Isle Au Haut is very beautiful and peaceful as shown in the image above! Half of the Island is part of Acadia National Park and many people on the Mailboat were taking day trips to hike and explore the park. Everyone on the mailboat were traveling by foot or bike since cars cannot take the Mailboat across. Most Islanders have a car on the Island and a car on the mainland. The cars on the Island look like a 1980’s movie since the Island is so small and it’s tricky to get cars across. Our AirBnB house rental came with a 1980-something Jeep and we actually did have car trouble on a Beach adventure. Luckily, we were near a hill and my Husband and Dad are a little car savvy so we were able to make it back safely and didn’t have to walk 5 miles back to the house. If you have any road trips on the books this summer, hopefully you won’t have my car experience nor an old car to drive! I partnered with Jiffy Lube on this post to share some safe road trip tips so hopefully you will have a very uneventful road trip! Fill ‘Er Up: Check the levels of all vital fluids, including motor oil, coolant, transmission fluid and windshield wiper fluid, and top-off, or change fluids, as needed. Motor oil does more than just lubricate moving parts. Keep it Clear: Make sure your headlights, taillights, turn signals, parking lights and license plate lights are all working properly. Replace any bulbs that may have burned out and consider getting lights cleaned to remove haze and clarify the lenses for better visibility during night driving. ‘Kit’ it Together: Be sure that you have a car emergency kit in your trunk for any unforeseeable car issues that may arise during your trip. Kits should include a flashlight, jumper cables, batteries, electrical tape, a rain poncho, a reflective safety vest and an emergency blanket. Drivers should also pack a medical kit equipped with band aids, gauze, alcohol antiseptic pads, insect bit relief and any necessary medications. Don’t Weight it Out: Matching the load rate of your vehicle (found in the owner’s manual or inside the driver’s side door) with the estimated weight of your family and the luggage you’ll be packing for the trip will help improve gas mileage. Excess weight makes the engine work harder and consume more gasoline. Under Pressure: Check tire air pressure, including the spare. Over- or under-inflation can weaken your tires, cause uneven tread wear and impact your gas mileage. Many drivers think the proper tire pressure can be found on the actual tire, however, that’s incorrect. Refer to your vehicle owner’s manual or to a decal often found in the doorjamb or glove compartment for the proper tire pressure. Check the pressure when the tire is cold/at air temperature. Do not check the pressure after an extended drive on the highway or after driving for more than five minutes. Stay Charged: A weak battery is unreliable and may take longer to start on cold mornings. Have the battery tested before long road trips to make sure it has enough cranking power to withstand the trip. To minimize strain, start the vehicle with the heater, lights and window defrosters turned off. 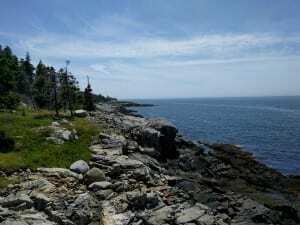 The second half of our trip we went to Bar Harbor, Maine and celebrated Acadia National Park’s 100th Birthday! We had a very uneventful second half of our trip for driving– minus traffic on our way home on Tuesday! 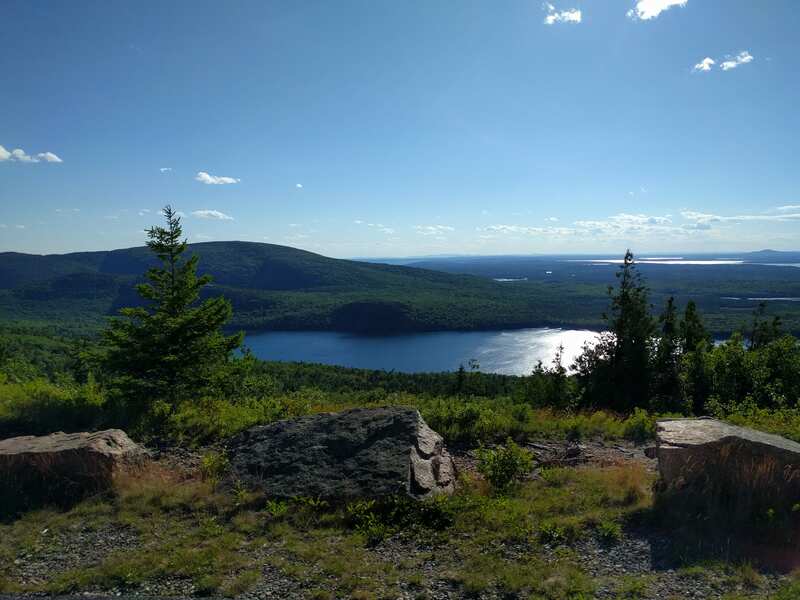 Acadia National Park was beautiful and I was surprised how much we could see by driving around. If you are not up for walking far or taking a hike, you can still see a lot! The picture above was actually taken from the passenger seat while moving! 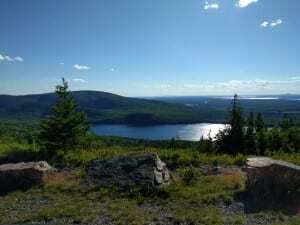 We had a great time exploring Isle Au Haut, Acadia National Park, and Bar Harbor over the Fourth of July! I had never been to any of those destinations and had a fun road trip with my family! Are you taking any road trips this summer? Do you have any tips to share? *This is a sponsored post from Jiffy Lube. All thoughts and opinions about my summer road trip are my own. Please see my disclosure policy if you have any questions or concerns. These are great tips! I’m taking my family on a week long roadtrip and my wife’s getting a little nervous about the possibilities of our car breaking down. Your tips will really help us better prepare for the trip! Thanks! Awesome! Great pictures! These are good, practical guidelines for staying safe while you’re on the road this summer. Thanks for the tips!